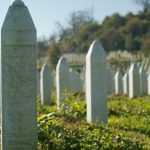 Julie Siddiqi, the Executive Director of the Islamic Society of Britain, reflects on her visit to Srebrenica. “In January this year, I spent three days in Bosnia as part of the ‘Remembering Srebrenica’ project with a fantastic group of old and new friends. I have come home feeling inspired, moved, upset, angry but most definitely motivated to do more in whatever way I can. Spending time chatting with legendary BBC war correspondent Martin Bell was, no doubt, a highlight and got the trip off to a fantastic start. People like Martin put their lives on the line to report in a fair and balanced way, to tell stories that we otherwise wouldn’t hear. He’s a local hero in Bosnia, everyone wanted to meet him. A privilege for me to be given that seat next to him on the plane! I remember in the mid 90’s, hearing stories coming from that part of the world. I remember being upset by what I was seeing and hearing but at the time I didn’t really feel personally connected. Others did. 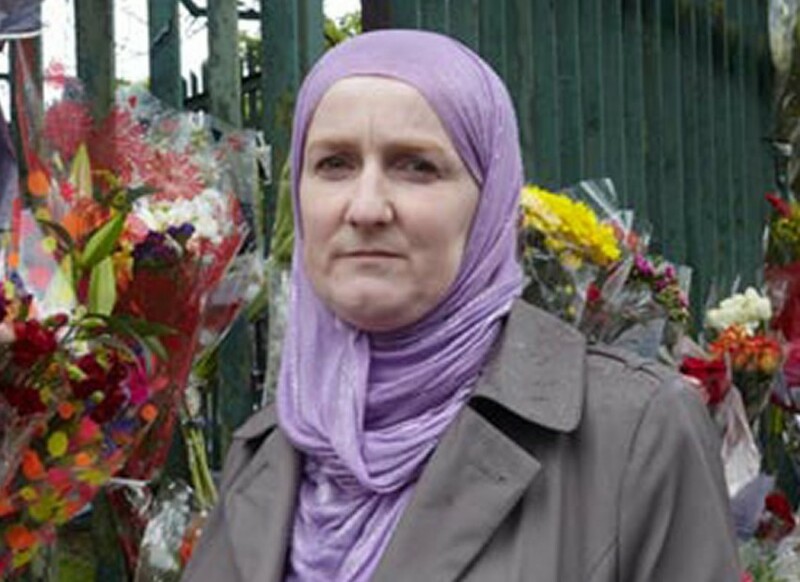 For many British Muslims it had a huge impact, it was a turning point, it was a moment in history that changed their lives forever. I actually converted to Islam in 1995 and I look back wondering if the conversations and images had more of an impact on me than I consciously realised. Only God knows. On this trip we visited graves and memorials. We heard stories, watched videos, saw dramatic footage and looked at some of the most amazing photographs, telling such a powerful story without words. We met artist Tarek Samarah who spent weeks and months photographing the atrocities, spending time in camps, documenting and telling the story of a people who had to live through the horrors of war and genocide. He put his life on the line and his health suffered, he lost kilos in weight. But thank God for people like Tarek. I am so grateful to have met him. Reminding us that sacrifice like that is priceless and his stories through his amazing images can never be taken away and are a reminder of the horrors as well as the hope. He touchingly spoke about making sure love is always a more powerful emotion than hate. We visited an organisation (ICMP) that is painstakingly matching bones that are recovered from mass graves with blood samples from family members, seeing if the DNA matches and then letting the family know that their loved ones’ body parts have been found. The commitment of the staff there, from all backgrounds, is meticulous and so professional. For them it is about justice and helping the families to achieve that. We went to the building where the bones are brought after they have been dug up. We stood feet away from trays of bones laid out for inspection and rack upon rack of bones in bags waiting for positive identification. To say we were humbled would be an understatement. Srebrenica was a word I had only ever heard on TV before. Now I feel it’s in my heart forever. The small town that was taken over by Serb armed forces, saw the boys and men from that community systematically and horrifically killed in July 1995. Genocide. 8,000 people massacred in four days. The haunting reminders are there, daily. The mothers and wives had the courage to share their stories, to tell us what happened. We listened to a mother who has only this year, eighteen years later, buried her seventeen year old son. But she could only bury two bones. Imagine. As I sat in that room, with seven women, seven amazing courageous but somewhat broken women, I cried my eyes out with them. We all did. I looked into their eyes while listening to their stories one after the other through our interpreter. They are brave. As a mother of four, two of them boys, my heart went out to them, I tried to imagine how they would have felt back in July 1995. It’s beyond belief. We heard from Hasan, a survivor, losing his twin brother and father and many other family members. He walked for six days with very little to keep him alive. But he made it to safety, with a handful of others. Now he is back in Srebrenica, to tell his story, to make the world listen, to help the families find justice and closure. Mass graves are still being discovered even as recently as January this year. Body parts scattered all over the country by people who had no regard at all for human dignity in life or in death. And yes, we did say ‘never again’ in Europe after the horrors of the World Wars. But horrific things did happen again and I have learned that in a stark and heart wrenching way. With those Bosnian mothers’ eyes looking at me and entering my heart for good, I know now more than ever that I will do whatever I can to combat hatred, to make sure that I play every part I can in preventing all forms of hate when it’s just based on the colour of someone’s skin or the religion they believe in. I will never understand what can drive a person or a group of people to be so filled with hate for the ‘other’ that they can kill and massacre in the most inhumane way. This week marks 6 years since @SrebrenicaUK was founded. Since 2013, we've organised 6,200 memorial activities, educated 90,000 young people & created 1,200 Community Champions who pledge to stand up to hatred & intolerance. Grateful to all whose support has made this possible. #OnThisDay in 2004, the Appeals Chamber in the Prosecutor v Krstić case unanimously found that genocide was committed in Srebrenica, describing it as a 'crime against all humankind, its harm being felt not only by the group targeted for destruction, but by all of humanity'.